It's January and in most parts of the country, it's COLD outside! If you think there's nothing to do for your garden in the cold winter weather, think again! Now is the perfect time to start planning for your spring garden. If you use winter's gardening down time to plan for spring, you'll be way ahead of the game when vegetable and herb plants hit the shelves at garden retailers. Here are some tips to get you started on spring garden planning; plan your garden now to ensure springtime success. Choose vegetable and herb varieties now. There are so many vegetable and herb varieties available, it's sometimes hard to know what to grow. Start by determining what you like to eat; those are the varieties you'll want to grow, then add in a new variety or two you'd like to first-time-try. You'll not only enjoy a hefty harvest, you'll save a bundle in the produce aisle throughout the growing season. Research, read and learn about the varieties you've chosen to grow. Bonnie Plants, the largest producer of vegetable and herb transplants in the U.S., has a comprehensive gardening website which you can use as a "gardening tool!" The website includes valuable information on all types of vegetable and herb gardening, do-it-yourself projects, how-to videos and more than 250 varieties of vegetables and herbs: their descriptions, needs, habits, how to grow, troubleshooting and even recipes. Visit their website to help you determine which varieties fit your taste preferences, time and space needs. Researching which plants to put in your garden might just be the most enjoyable part of the planning process. Now is when you have the time to leisurely peruse and learn all you need to know about the varieties you'll plant, providing you with a good leg up on the planting process come spring! Try timesaving transplants instead of seed. When you're ready to begin planting, opt for transplants – seedlings that have already been started for you, like Bonnie Plants, which are grown regionally across the country and available at most garden retailers nationwide. Transplants can trim six to eight weeks off growing time, and allow you to skip over the hard part of the growing process when plants are most vulnerable – so they're more likely to survive and thrive. Small space? Think inside the box. 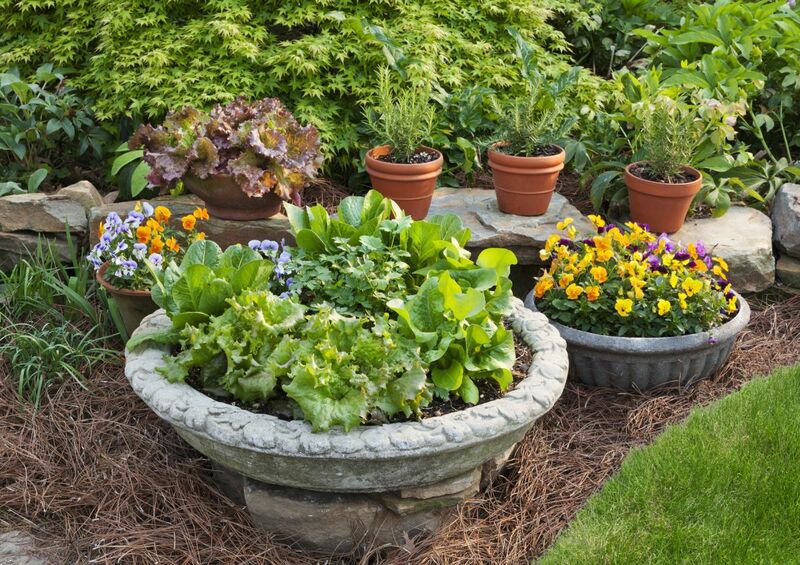 For those with small spaces, a container garden is an excellent choice. Containers can also supplement a traditional garden, providing practical and pretty pots of herbs just outside the back door, an experimental area for kids to try their hand at growing their own produce, and allow tender plants to be moved according to weather conditions. 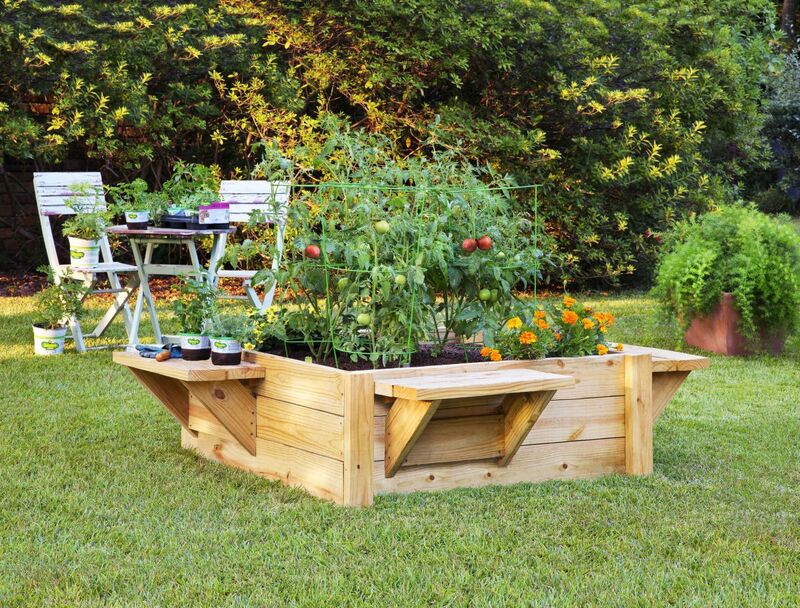 Or grow bigger in a raised bed, especially if you're short on space or have poor soil quality in your yard. Plenty of space? Grow in ground. Once you know the varieties you'll grow, it's time to come up with your in-ground garden plan. Using the list of crops you've decided on, draw out your garden and decide where each crop will be planted. Always keep in mind annual crop rotation, location (be sure your garden gets 6-8 hours of sun per day) and plant spacing. Once you know where everything will go, make a second list of your crops, and record when you need to plant them outside. This plan will be your guideline in the coming months, so keep it handy. Size and soil testing. Make your garden a realistic size, tailored to your lifestyle, motivation and physical capabilities. Once you map the perimeter of your garden, investigate and plan for good soil preparation in order to prime this essential element for healthy garden growth. It is never too late to perform a soil test. Soil test kits are available at most garden retailers or through your local cooperative extension service. Once you complete soil testing, you'll know exactly what your soil might be lacking, so you can prepare to amend it when the weather warms. Tackle your toolbox. As with any tool, the sharper the better! Take the time to get your pruning shears, shovels, and other tools in tip-top shape before you have to use them and you'll save time and effort in the long run. Wintertime isn't about waiting for spring; instead it's an enjoyable, leisurely time to plan for your productive, springtime vegetable and herb garden that will serve you well throughout the growing season. Visit Bonnie Plants to learn more.